Lawmakers are debating major reforms to the military retirement system, proposing a new system combining the current defined benefit plan with elements of a 401(k). The current military retirement plan reqires 20 years of service to get benefits. Lawmakers are debating major reforms to the military retirement system, proposing a new system that combines the current defined benefit plan with elements of a 401(k). On April 22, the Committee on Armed Services Subcommittee for Military Personnel released proposals for the National Defense Authorization Act for fiscal 2016. The Military Compensation and Retirement Modernization Commission released a report in January that proposed major changes to the way servicemembers are compensated, including a shift from a defined benefit style retirement plan to a mix of defined benefit and defined contribution features. The report noted that “profound and constant change” since the all-volunteer force was established over 40 years ago and the pressures of a 13-year war are driving the overhaul. Currently, servicemembers are only eligible for retirement benefits after they’ve completed 20 years of service. An April 2014 report by the Department of Defense Office of the Actuary found that as of September 2012, 49% of new officers and 17% of new enlistees serve 20 years or more and become eligible for nondisability retirement. Cliff vesting occurs much earlier in private sector DB plans. The report pointed out that private-sector DB plans are required to cliff vest by five years of employment or to gradually vest during a seven-year period. DC plans must cliff vest within three years. “As a result of these shorter private-sector vesting times, a much higher percentage of private-sector employees receive some type of retirement benefit, as compared to Service members who can only receive the retirement annuity upon reaching 20 [years of service],” according to the report. The current DB style retirement plan provides annuity payments to military retirees beginning the month after retirement begins. They’re generally calculated by multiplying the retired pay base by 2.5% for each year of creditable service. The House’s proposal would blend the current system with a defined contribution system by allowing servicemembers to contribute to the Thrift Savings Plan with a matching contribution from the government, which they currently don’t receive; offering lump-sum “career continuation pay and retention bonuses” at defined milestones; and provide “mandatory lump-sum career continuation pay after 12 years of service with an agreement by the service member to continue in service for 4 more years,” according to the subcommittee markup. The proposal requires a report to be filed by March 1, 2016, to the Committees on Armed Service of the Senate and the House of Representatives, the Committee on Energy and Commerce, the Committee on Natural Resources and the Committee on Transportation and Infrastructure of the House of Representatives. Implementation would be expected by Oct. 1, 2017. Current servicemembers would be able to be grandfathered into the current system. The committee will meet on Wednesday to consider the proposal. Servicemembers currently have a defined contribution option available through the Thrift Savings Plan, which has been open to members of the military since 2000. However, military investors in TSP don’t receive employer contributions from the Armed Services, although other federal employees do. 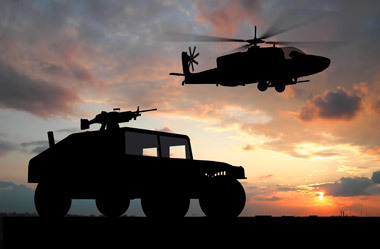 According to financial statements for the Thrift Savings Plan, there were approximately 4.6 million participants in the TSP plan in 2013 and 2012, although the report didn’t provide a breakdown of military versus nonmilitary participants. By comparison, the Investment Company Institute found that in 2012, there were about 52 million Americans participating in a 401(k) plan. The commission report noted that flexibility is a key attraction to younger workers, who will increasingly make up the military force. Those younger servicemembers who leave before completing 20 years of service are eligible for some benefits, the report noted, including education benefits and employment assistance, but are not eligible for retirement benefits. Military retirees tend to be younger than retirees from other industries. The average enlisted servicemember is 43 with 22 years of service at retirement, according to a May 2014 report from the Congressional Research Service, and the average officer is 45 with 24 years of service. “They’re taking a retirement benefit that serves about a sixth of the military, the career force, where the risk is entirely on the U.S. government and they are shifting it to a defined contribution plan where the risk for their eventual retirement sits solely on the shoulders of the servicemembers,” he added. A survey of servicemembers by First Command found that 69% of respondents are in favor of the proposal being offered, but 61% said they’d still like to use the current defined-benefit style plan, Spiker said. “People like options, especially when they’re free options. The way this has been construed, if you’re serving today, you get to keep what you have or you can trade it for what’s behind door No. 3,” he said. In addition to the proposal for the retirement system overhaul, the commission made 14 other recommendations that would affect military benefits. “If Service members are provided the financial education necessary to make informed choices when utilizing a DC plan, they would be more likely to use the plan and more likely to make choices tailored to their individual situations—an important component of a modernized retirement model,” according to the report. — Check out Military Still Worried About Sequestration, Confident About Repeal on ThinkAdvisor.